Attila Valter will be racing Ötztaler Forest Cross on Sunday. – I am really looking forward to Sunday, as I have missed all the emotions that MTB racing gives. 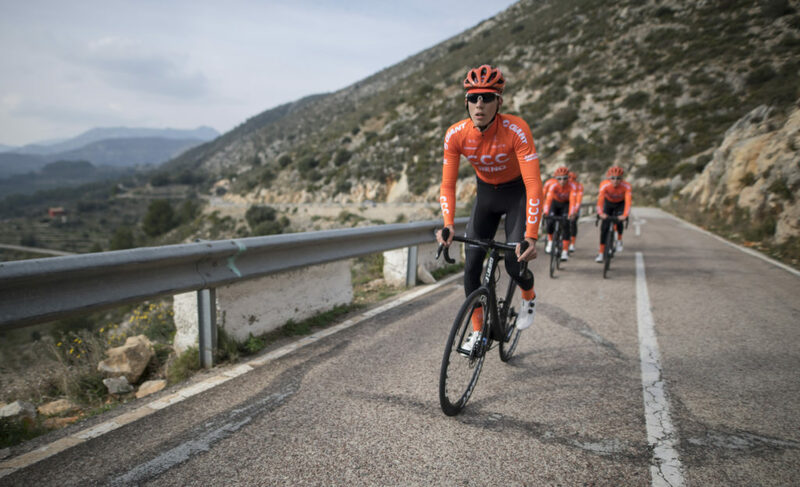 Don’t get me wrong, I’m still focused on the road, but my passion for cycling started from cross-country – says Attila Valter, who won the title of Hungarian champion in cross-country two times as a junior – in 2015 and in 2016. Moreover, before he switched to road, Attila had been racing for MTB team called Cube Csomor. Current CCC Development Team’s rider is really close to reach the qualification for the Olympic Games in Tokio. That is why the management of the team agreed to his participation in MTB races from time to time. – I know that my team mates have quite a busy weekend, as the are racing in Netherlands and in Poland. I really do appreciate the fact that I was allowed to go to Tirol for Ötztaler Forest Cross – added Attila Valter. Ötztaler Forest Cross is the first MTB race for Hungarian in this season. – It is HC race so it’s gonna be super hard. The course is very technical, with lot of roots, jumps, mud and slippery stones. I’m doing U-23 race, so it means that I’ll have to ride 6 laps, 4600 meters long each – explains Attila. He rode this race several years ago as a first year junior and got quite good result for his age. – I really have good memories from that time. And when I come back to Tirol it always amazes me – so peaceful and quiet land, but during racing you get to know its other face. It’s also good to be back here with my friends from national team – says Attila. After Coppi e Bartali, which was finished lat Sunday, Attila spent several days in Hungary and had some time for rest and load his batteries. – I feel really good right now. My knee problems are over, mainly thanks to Przemek, our physiotherapist, who did his best during Coppi. I hope, that on Sunday, I’ll show some good time. The start list is full of solid riders, so it will be a bit of a challenge. For sure, I’d like to enjoy this race as much as I can. MTB differs from road in many aspects – added Valter. For him the main one is that in MTB the riders depends much more on their own abilities. – On cross-country races there is no such thing as a peloton, in the meaning we know from road. So, in my opinion, cross-country cycling is not as rush as road. But, what is most important – in both disciplines I can ride a bike. And this what gives me pure happiness – says Attila Valter.